Whatever list you look at, Public Relations remains a constant placer in the Most Stressful Jobs in the World category. 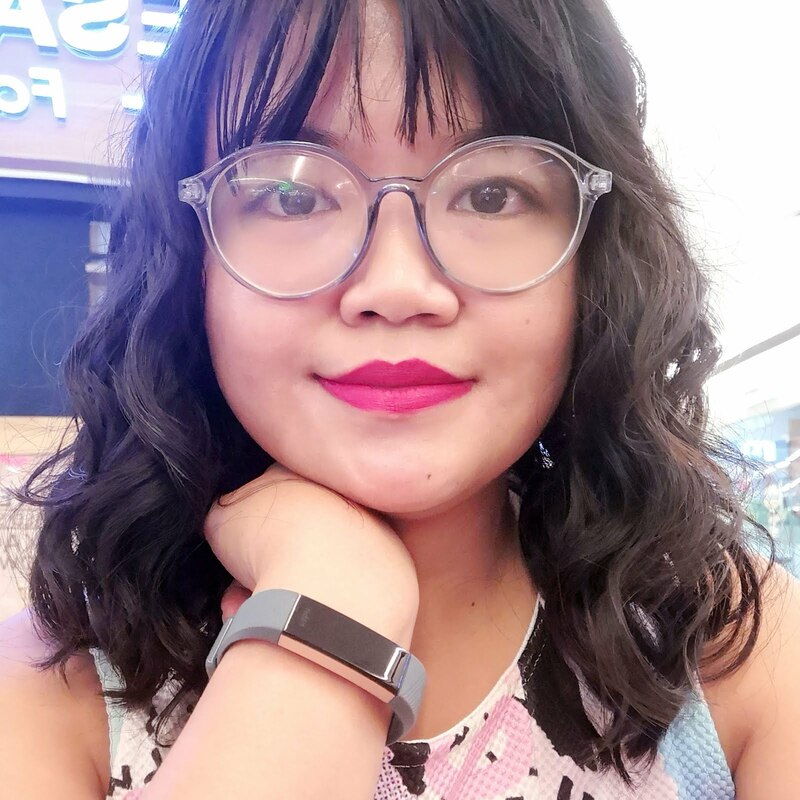 I stay because I thrive on stress - when my fingertips tingle and my heart beats loudly during stressful instances, that's when I feel most alive. However, I still need to de-stress to keep myself sane and to not suffer untimely death due to stress-induced heart attack. Heh. I read, I go to the movies, I watch light TV shoes, I journal, I ask my mom or my boyfriend (whoever's available) for back rubs, and on extreme cases I go to a spa and get a massage. 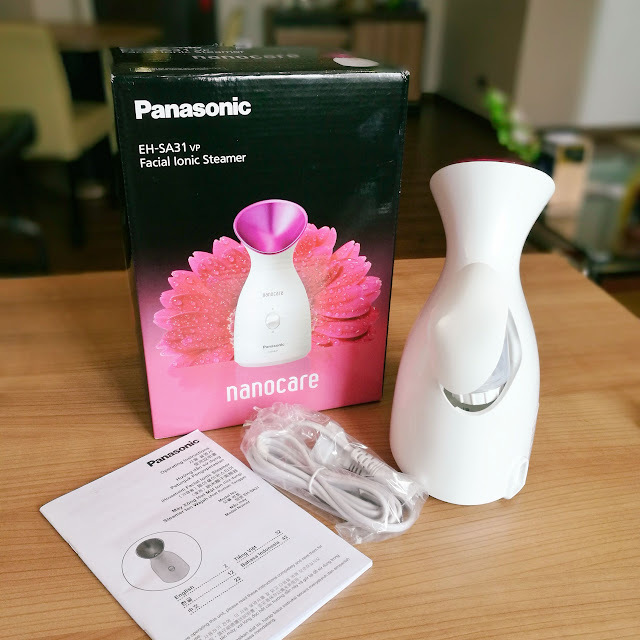 The Panasonic Facial Ionic Steamer promises to not only cleanse your pores for dirt, it also leaves your skin feeling hydrated thanks to the nanoe™ particles it releases, penetrating the skin to make it feel refreshed and renewed. It might seem like a complex foreign-looking contraption, but it's actually no-fuss and fool-proof. The box contains the Facial Ionic Steamer, plug, and a manual. Everything's packed securely inside the box so you don't have to worry about being extra delicate when handling it. So long as you don't drop it, of course. It's very easy to use, too! 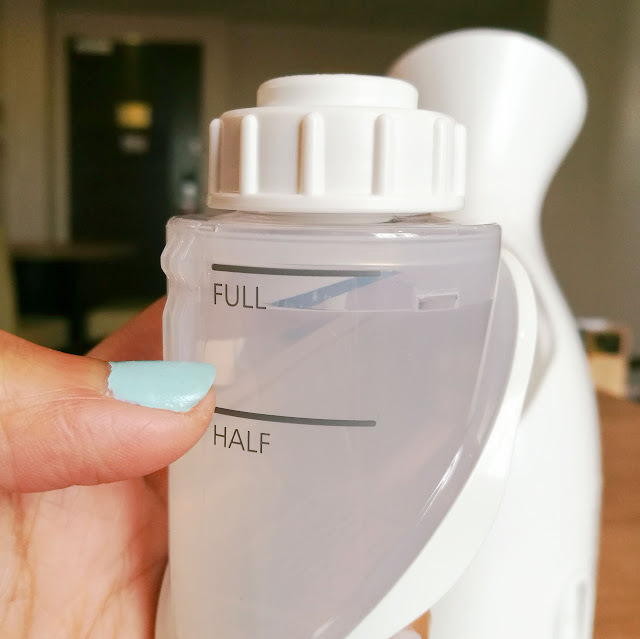 All you have to do is set on your table-top, plug it in, fill the container with water (half-full if you want three minutes' worth of steam, full if you want the whole six minutes), and switch it on! Three minutes is recommended for when you're about to remove your makeup since it makes even the most waterproof of makeup easier to wash off. It also cleanses the skin and removes dirt and other impurities. The six minutes setting is recommended for the nano-sized steam particles to penetrate the skin and moisturize. It also opens up the pores to easily absorb your skin care products. 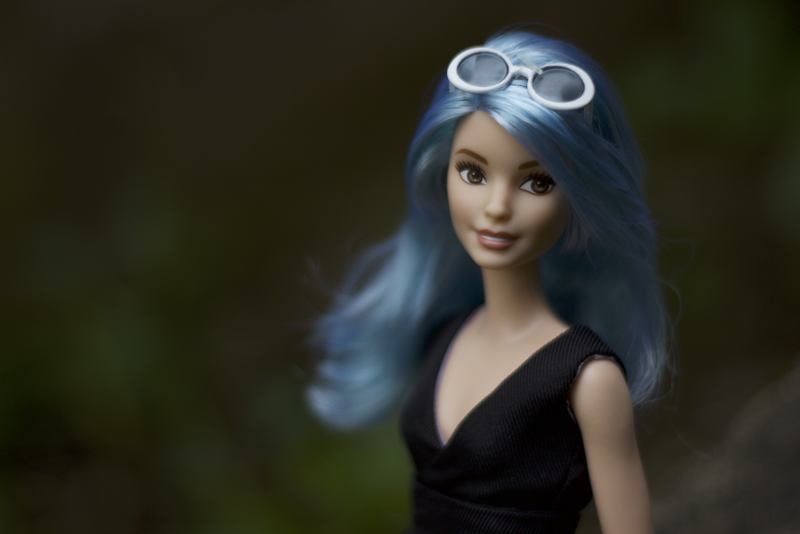 Perfect for your night-time ritual! 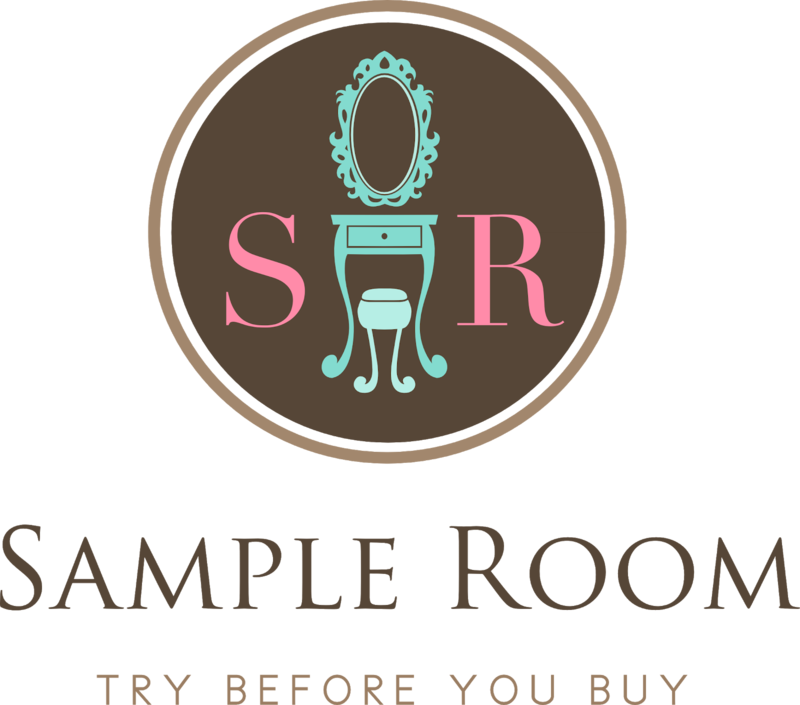 The simple white and hot pink device is a nice addition to any boudoir or vanity. 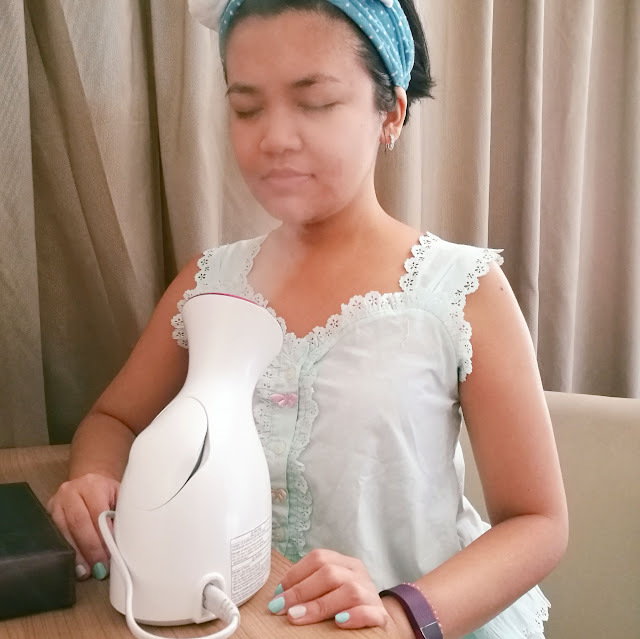 I chose the full six minutes setting when I first tried the Panasonic Facial Ionic Steamer but now I alternate between three and six. There's no need to put your face directly over the steamer. It can be a few inches away, so long as you're getting enough steam. 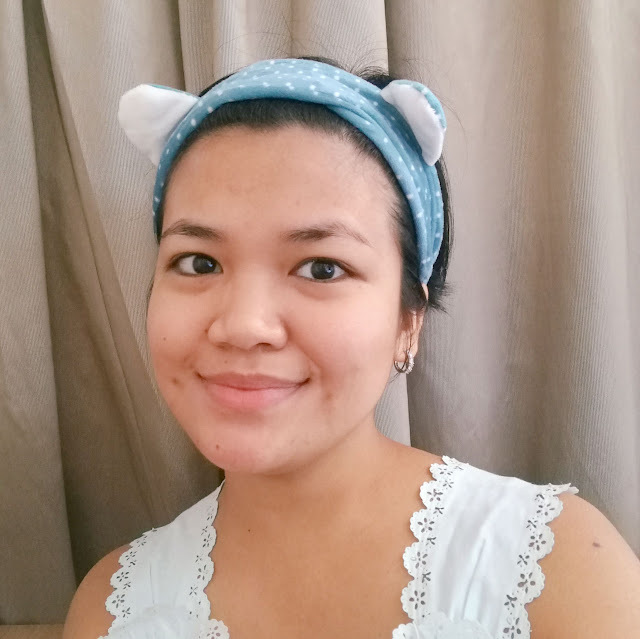 My skin immediately felt softer and more moisturized after six minutes of steaming. It's just a struggle sometimes because of the hot and humid weather we've been having lately and the steam coming from this is also hot. I would recommend that you use it when you're in an air-conditioned room. It is important to note that you can only use distilled water for this to make sure minerals in the water don't clog it up. Don't use fragrant oils as well because this steamer is not built for those. If you must, tape a cotton pad soaked in fragrant oils over the spout so you can still enjoy it with the steam. 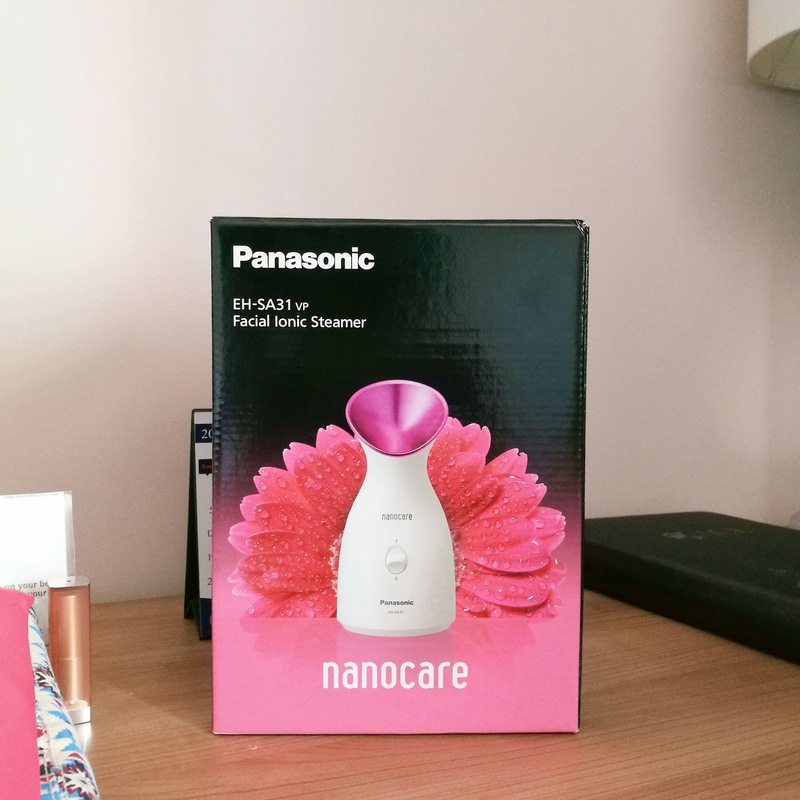 I have yet to see dramatic results but that is expected since I only get to use the Panasonic Facial Ionic Steamer twice a week. I love the benefits though so I should really squeeze it in. Especially since you can do it even when watching TV! It can also be seamlessly added to any beauty ritual. 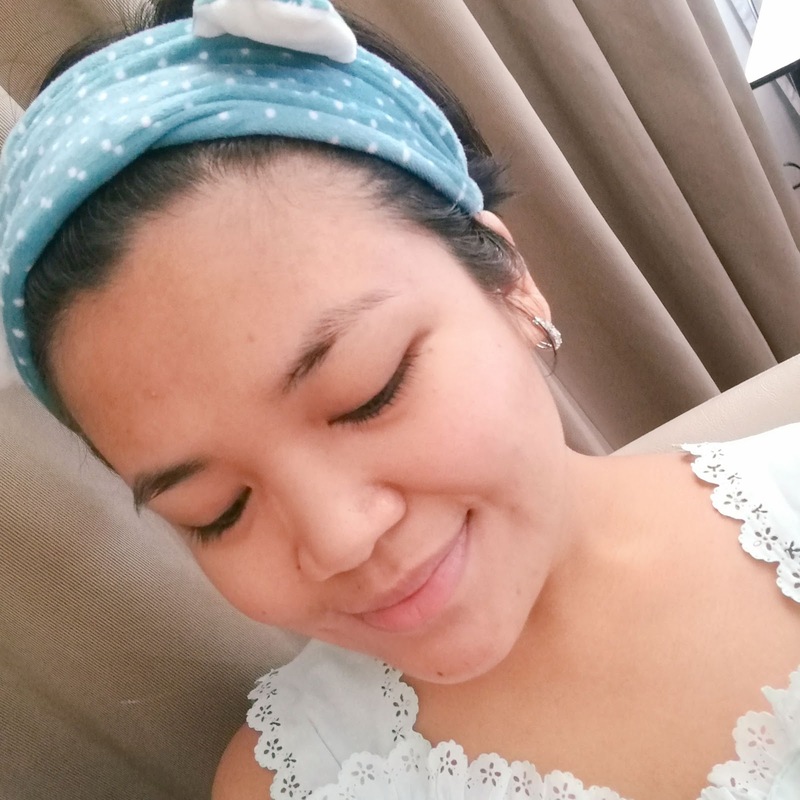 Aside from using the steamer at night after cleansing your face to get rid of the dirt in your pores, you can also revamp your morning beauty ritual. During the morning, the Facial Iconic Steamer can be used after washing your face and before applying makeup so that makeup application becomes easier and the makeup can last on your face for a longer period of time! With Panasonic Beauty releasing more beauty tools for us, it's amazing to know the breadth of our choices. Good times. 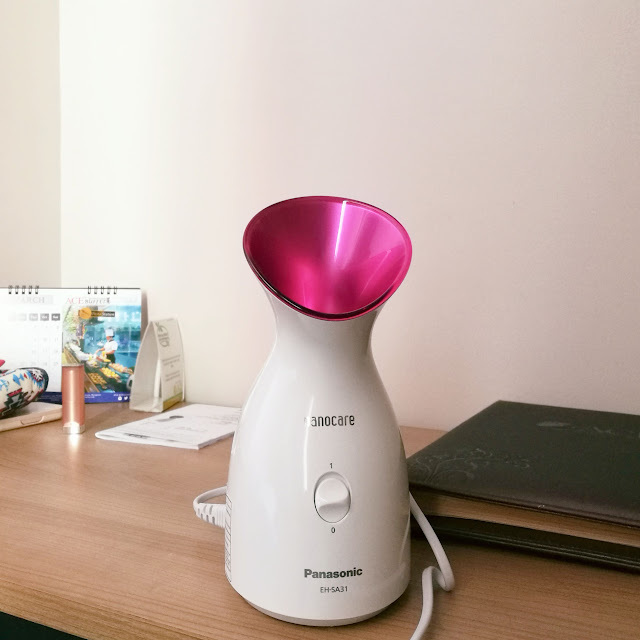 I can't wait to bring my Panasonic Facial Ionic Steamer when I go on a staycation with my girl friends. Hooray for DIY spa days!